If you’re considering replacement doors for an existing home, or even new doors to finish off a recently built property, then you’re bound to have come across uPVC doors whilst considering your options. You may even already know that uPVC doors are an affordable choice for homeowners – after all it’s a fact that’s certainly well publicised. Yet, the benefits of choosing uPVC doors extend beyond the price tag. With manufacturers upping their game in terms of style and versatility, uPVC doors are becoming a real contender for any property-owner who is looking to either improve or complete their home. Want to know four other good reasons to invest in UPVC doors for your home other than the price? UPVC doors are made to be fade resistant and can be easily washed clean, which means they are a time-saving dream for busy households and homeowners. They do not need to be sanded down or repainted to stay in good shape – like wood doors for instance – meaning installing them could end up saving you money and precious hours in the long-term. Firstly, uPVC can be re-cycled up to ten times with no material degradation. This means that, through recycling, your uPVC doors could be kept out of landfill for more than 350 years! Secondly, UPVC doors have an A+ rating for energy efficiency meaning they retain heat. Choosing them for your home may mean you are able to cut back on expensive fuel bills and prevent wasting precious energy, as opposed to aluminium or wood. You no doubt want to do everything you can to detract unwelcome visitors from breaking into your home and fitting a uPVC door is a step in the right direction. UPVC is an extremely durable material, which cannot be split or forced like wood. If fitted with multi-point security locks and double glazing, a uPVC door provides a secure barrier between you and the outdoor world so you can relax and rest assured that your property – and everything in it – remains safe inside. So you now know about some of the practical benefits of fitting a uPVC door, but what about its aesthetic appeal? Style-conscious home owners will be pleased to know that uPVC doors come in a wide range of styles and designs and it’s even possible to choose your own specification in terms of colour, style and frame. From various opaque and woodgrain effects to choose from, uPVC doors provide a versatile option whether you are after a contemporary design that is fresh and modern, or a more traditional style to complement an older façade. 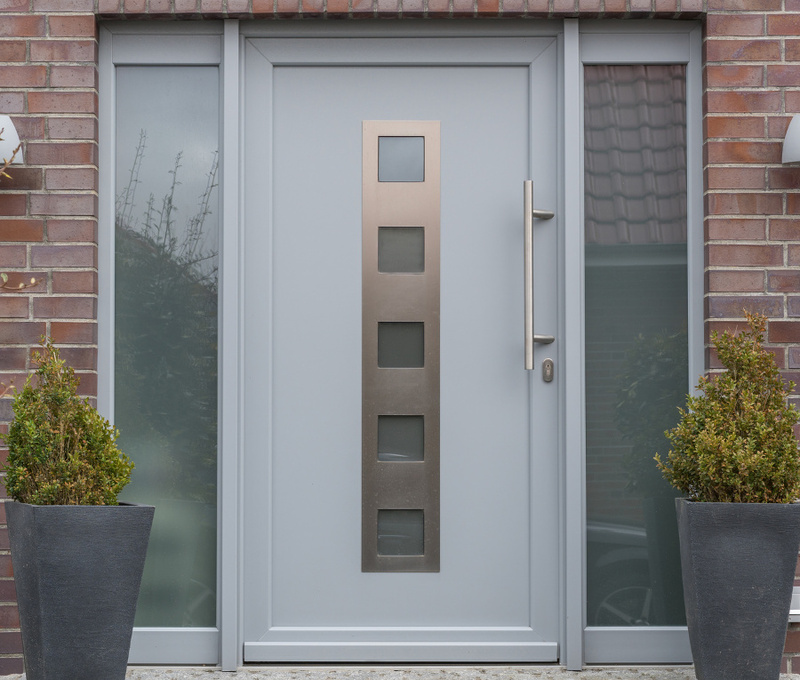 The doors you choose for your home will be the gateway to your domestic lives – and they have a number of functions to perform because of it. With so much at stake you’ll need to do some careful research before you make your choice. But, just remember: A uPVC door is able to tick all of the boxes when it comes to versatility, efficiency, affordability and aesthetics. Contact us today to find out more about adding a uPVC door to your home. Call Premier Plastics on 01344 304761.